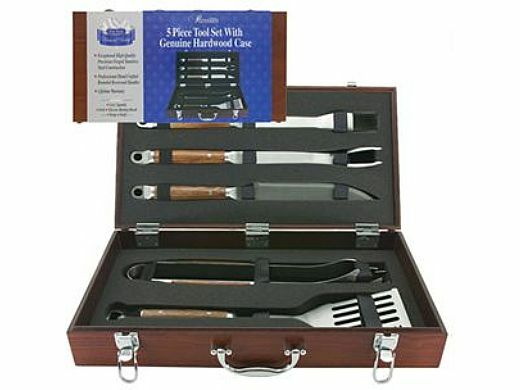 This quality tool set includes spatula, fork, tongs, basting brush and knife. 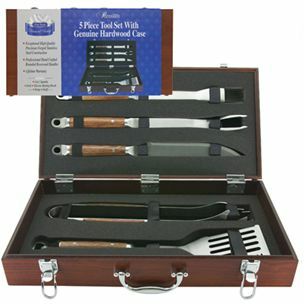 Tools have rosewood handles and are constructed of 2.5mm stainless steel. Just purchased this for my dad, he loved it! The quality of the set was superior to those you see in the stores.